One of the dentists contacted the U.S. Centers for Disease Control and Prevention (CDC) in April 2016, concerned that a number of dentists were all being treated for the same relatively rare disease. While IPF has been associated with certain occupations in the past, especially exposure to certain dusty environments like those that may occur during agricultural work, textile manufacturing or exposure to wood dust,  dentistry was an entirely new connection. Meanwhile, mercury is but one lung toxin that dental personnel are exposed to on a near-daily basis. Others include silica, polyvinyl siloxane, alginate and “other compounds with known or potential respiratory toxicity,” the CDC stated. But because mercury is the most vaporous of the heavy metals, dental amalgam pollutes dental workplaces full of toxic air — which exposes dentists, dental hygienists, dental assistants and front office staff to eight to 10 hours of dangerous breathing every workday. 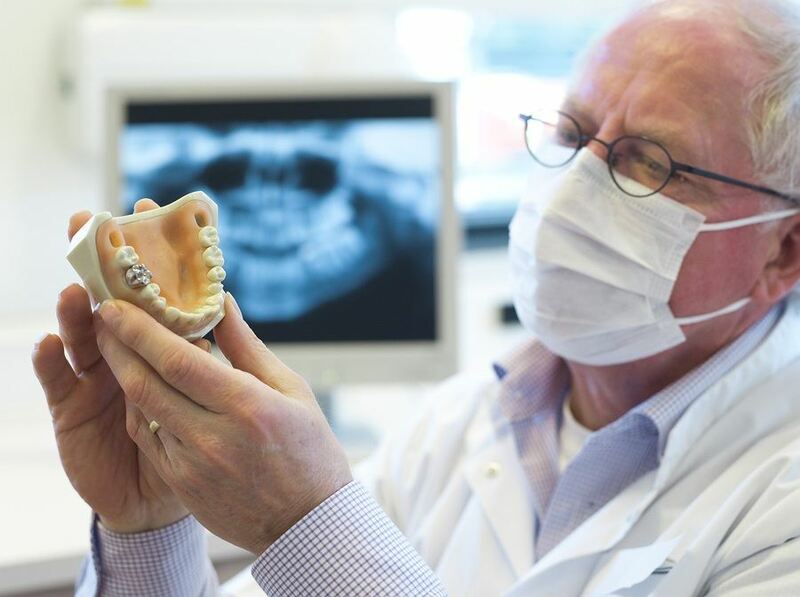 Despite the known risks, few dental offices monitor their air for mercury levels the way many industrial sites do. It’s so bad that Hummell, a father of five, says he won’t bring his children into just any dentist office, lest they be exposed to mercury even for a second. “He [Hummell] said he also showed dentists an American Dental Association pamphlet urging them to periodically monitor their offices for mercury, a circular that mostly drew chuckles and ridicule from the dentists. For $75 per person per year, the ADA offered a “complete and confidential” mercury-testing service. There is no evidence that the ADA has continued this mercury testing program. “It appears that the ADA found it more profitable to deny the problem of high mercury levels in dental offices,” explained Brown. Even dental students are at risk, with studies showing dental institutions and hospitals in the Philippines and Pakistan to have hazardous levels of mercury pollutants in the air. 1. Check the details of your dental insurance policy. If it fully pays for amalgam while limiting or denying coverage for mercury-free fillings, register your objections with this easy-to-fill-out online form, which you can then email to your insurance company. Please visit the Consumer for Dental Choice Demand Your Choice page to find additional details and tools to help you take a stand against your insurance company’s pro-mercury policies. 5. Last but not least, spread the word, and urge your family and friends to challenge their insurance companies’ toxic policies and make the switch to a mercury-free dentist as well. Mercury is an incredibly potent neurotoxin; it doesn’t take much to cause serious damage because it’s an absolute poison. If you were to take the amount of mercury in a typical thermometer and put it in a small lake, that lake would be closed down due to environmental hazards. Yet, amounts much higher than that are readily put into your mouth if you receive a “silver” amalgam dental filling, as the majority of material in the filling is actually mercury. 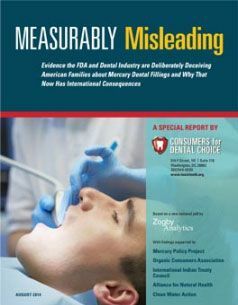 Download your free copy of “Measurably Misleading” and learn how the FDA and dental industry are misleading consumers and why that’s bad for American families and our planet. We believe in inspiring progress — and nowhere is the progress more evident than the work of Consumers for Dental Choice and its Campaign for Mercury-Free Dentistry. So consider donating your funds where you know it will get results. Consumers for Dental Choice takes the Holistic Approach to Advocacy. You wouldn’t go to a traditional dentist who uses mercury amalgam fillings. So why would you go to a traditional activist to fight for mercury-free dentistry? That’s why so many people, including myself, support Consumers for Dental Choice’s holistic approach to advocacy.